Comfrey is a member of the borage family. Medicinal ingredients include allantoin, alkaloids, mucilage, tannins, sterols, resins, volatile oils, gums, and triterpenes. What does that mean to you and me? It possesses a substance which causes cell growth, so it has remarkable healing properties. The leaves are fast-growing, up to 1.8–2.3 kilograms (4.0–5.1 lb) per plant per cut, as a result comfrey stimulates growth in delayed bone healing, abrasions and injuries to skin, a general rejuvenation. A great tonic on surfaces of the body. Draws toxic materials from injured joints, muscles and tendons. Increases movement of fluids into joints, and has long been used to heal broken bones and injured joints. Productive in healing or correcting erosive discharges from intestines, in diarrhea and dysentery, TB, and burning during urination in women. This herb needs to be used carefully due to overgrowth issues on bones and tissues. 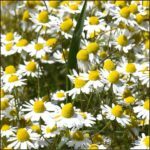 Folks use it in head injuries, brain, and it is good for epilepsy, insomnia and autism. Bloody discharge, delayed puberty, brain injuries, Alzheimers, gum disease, hay fever, sinusitis, chronic cough, colitis, diarrhea, breast inflammation, kidney stones. Repetitive joint, sprains, strains in poultice form, back, spinal injury, arthritis, bursitis (hot poultice), Rheumatoid, burns, bruises, cuts, abscesses, bites and calluses. Roots and leaves. Use on people with healthy livers only. 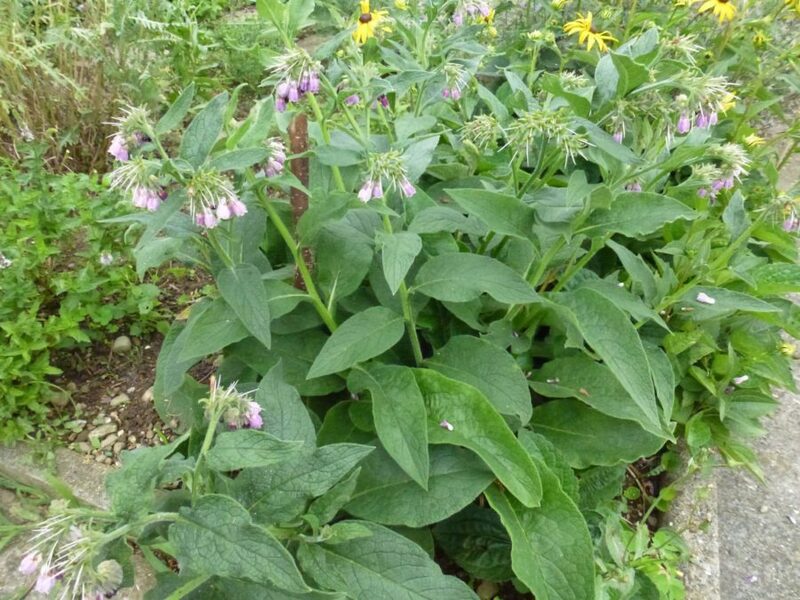 I started growing Comfrey in my garden the moment I heard about it’s amazing healing benefits. Since this herb has been around for a while, you can find it in quite a few gardens around the church. Being a Kneipp follower, you can see how my love for this perennial grows stronger, year after year.